The Best Industrial Deal Around! 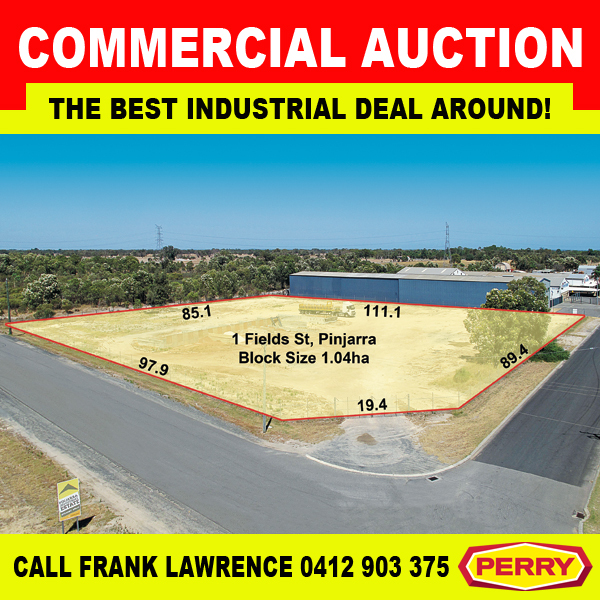 If you’re after an industrial property at an excellent price, make sure you’re at H&N Perry’s next commercial auction. The large corner lot is currently cleared and fully fenced with two street frontages. With no special building conditions or requirement to build, it would be an ideal investment. Use as a hardstand area or develop to your requirements – the choice is yours! This property must be sold, so get your offer in today. Unless sold prior, the auction will be held on site, Saturday 14th March 2015 at 11am. Make sure you’re there to secure this once in a lifetime opportunity. For further details on 1 Fields Street, or if you’re interested in auctioning your own property, call award winning auctioneer Frank Lawrence at on 0412 903 375. 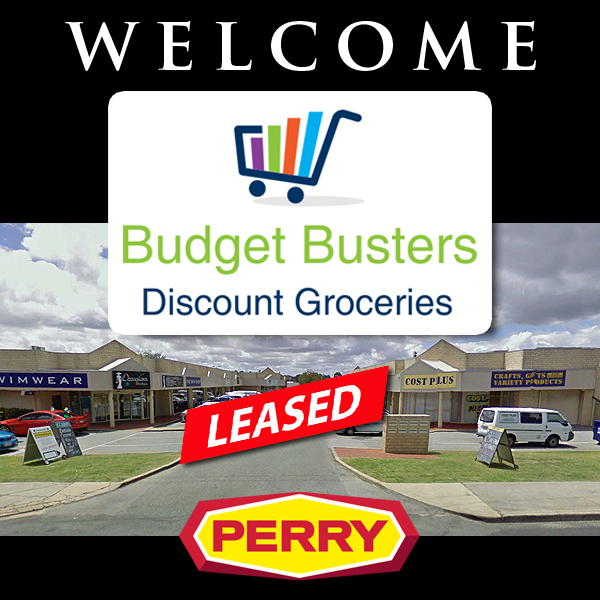 If you’ve been looking for the ideal commercial property to add to your portfolio – the search is over! 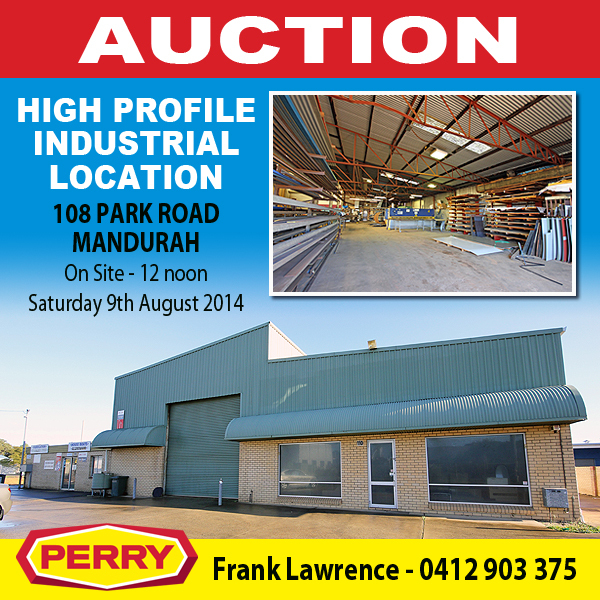 H&N Perry are offering Unit 4, 73 Mandurah Terrace for sale. Located water front, right in the heart of Mandurah’s busy tourism precinct on the boardwalk, this is certainly a blue chip location which any wise investor will snap up quickly! The property enjoys wide waterfront views stretching all the way down the Estuary to the historic Old Mandurah Bridge. Surrounded by high profile retailers and amenities including Mandurah Performing Arts Centre, Reading Cinemas, Cicerello’s Fish & Chips, Dome Cafe and Mandurah Tourist Bureau, there is a huge amount of traffic passing this busy location every day. The leasehold offered for sale has a head lease which includes further 10 year options and is sub leased to the popular Sanchurro Chocolateria. The 328m2 of leaseable floorspace is currently returning over $85,000 per annum. The property is offered for sale at $810,000 as a going concern thus incurring no GST for the purchasers. This property would certainly be a sweet addition to any investment portfolio. To find out more details or to make a confidential offer, contact exclusive selling agent Frank Lawrence from H&N Perry Real Estate on 0412 903 375. 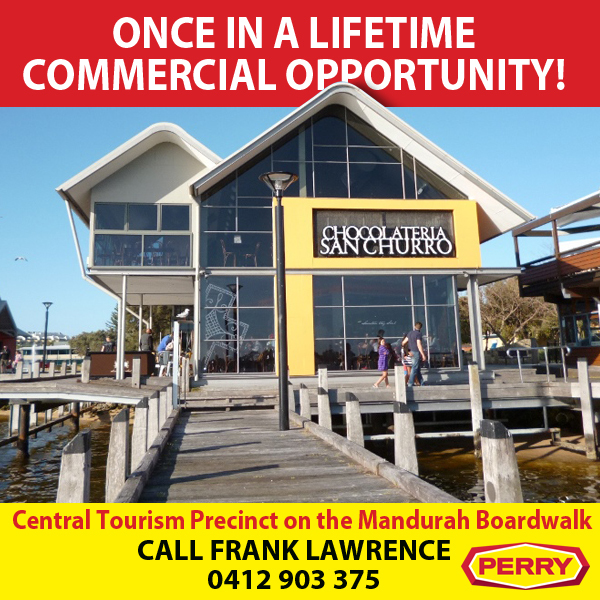 Frank is a specialist in commercial sales in the Mandurah Region and has been responsible for the successful settlement of many of Mandurah’s most iconic commercial buildings. Don’t miss this once in a lifetime opportunity to include one of them in your portfolio! Mandurah – Positive Growth Continues! 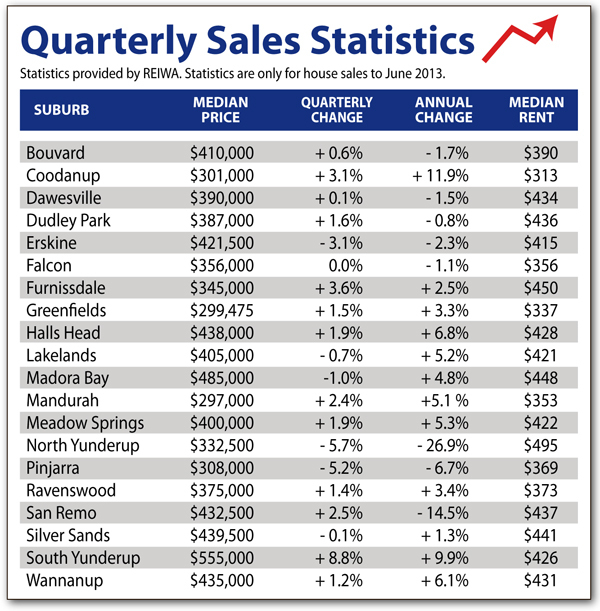 2013 Continues to be a positive year for Mandurah with the release of REIWA’s quarterly statistics this week. Most suburbs in the Mandurah Murray region recorded positive growth for the quarter but more importantly the number of sales for the area are significantly higher than in recent years showing a return of consumer confidence in real estate. Overall the Mandurah Murray area experienced a solid 4% growth in the annual median house price bringing it up to $390,000. There has been continued demand for properties under $400,000 with the flow on to mid-range properties starting to take effect. Mandurah offers some of the best value for money real estate in Western Australia. This week alone there were four Mandurah properties featured in Landgate’s Top 10 Most Affordable House Sales. It would seem that people are starting to realise that the price of property is not falling any further and it is time to make an investment. H&N Perry endeavour to bring our clients all of the latest statistics as they become available. When it comes to achieving the highest price for your home, you can rely on H&N Perry to give you the most accurate reflection of the current sales market. Call today on 9535 1822 and let one of our experienced Sales Representives get positive results for you.